Sitting on the banks of the River Trent in the East Midlands, Newark is a market town in Nottinghamshire. With a population of around 28,000, there’s a range of property in the area to suit a variety of tastes and budgets. At My Home Move Conveyancing we’ve been developing our knowledge of property markets like in Newark since 2001, enabling us to bring our clients in the town a specialist, fixed fee conveyancing service. You’ll need to instruct property lawyers to complete the legal work when you buy or sell property in Newark. 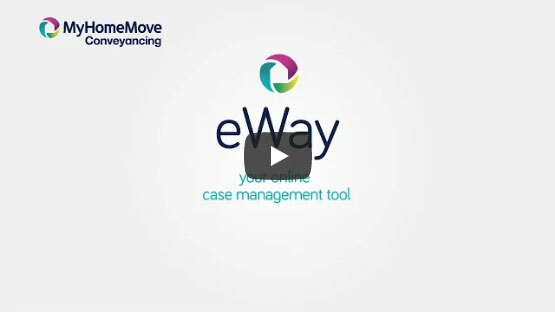 Choose My Home Move Conveyancing to be your Newark conveyancers and receive the full benefit of our award winning customer service. We combine this with a revolutionary use of technology to deliver more completions per year than anyone else. Our conveyancing service comes for a fixed fee, giving you peace of mind with our market-leading service. What’s more, if you don’t end up moving for some reason, you won’t have to pay us anything in legal fees thanks to our ‘no completion – no fee’ policy. We assign all of our clients a dedicated conveyancer, who’ll act on your behalf from start to finish. You’ll get regular updates on the progress of your case, a consistent point of contact, and a high level of expertise. At My Home Move Conveyancing we’re proud to supply our professional conveyancing services in Newark to homebuyers across the local area, from those looking for something in the town centre, near one of the two train stations, or close to the castle. The average house price in the district of Newark and Sherwood is £169,462, while the overall average sale price in Newark over the past year was £156,247. Most sales in this period involved terraced properties, which went for an average of £124,584, while detached houses fetched £219,334 and semis sold for £148,347. It’s thought that Newark’s history stretches back to Roman times thanks to its position on the Fosse Way, an important Roman road. The town’s castle was founded in the mid-12th century, and from this time onwards Newark grew in importance as a local centre for the wool and cloth trade. Nowadays the town is a popular place to live among commuters to Nottingham, while it’s also feasible to travel to London for work. There are direct trains to the capital’s King’s Cross station that take around an hour and a quarter, putting it just within reach for commuters to London. A more common commute is to nearby Nottingham, which takes around 25 minutes on the train. The A1 and A46 roads serve Newark, with the M1 not too far to the west of town. When it’s time to go on holiday, East Midlands Airport is around 30 miles away. For families with children, there are some highly rated schools in the local area to choose between, including Barnby Road Academy, Chuter Ede Primary and John Hunt Primary and Nursery School. At secondary level the options are Magnus CofE and Newark Orchard School, while Tuxford Academy is also relatively close by. All properties in Newark will fall within one of the following council tax bands.